Prof. Parashar is a 1959 medical graduate from G. R. Medical College and Vikram University in India. Three years later, he obtained the degree of Master of Surgery [M.S. ], from the same University. For the next five years he continued his further training at All India Institute of Medical Sciences in New Delhi, India, and in various hospitals of England. Meanwhile he obtained the Fellowship of Royal College of Surgeons of Edinburgh [FRCS Ed.] in 1966. He returned to India and joined Goa Medical College in India in 1969. In ten years he reached the highest rank of full Professor and Head of the Department of Surgery at the same college. In 1980, he joined King Faisal University [later named as University of Dammam] as Professor of Surgery, and retired in 2013 as Emeritus Professor of Surgery. Prof. Parashar has been a very popular teacher and well known surgeon amongst his students, trainees, colleagues and community in Goa as well as in Saudi Arabia. He lives with his wife in USA; however he spends a lot of his leisurely time at his beautiful resort home at Dona Paula in Goa, India. This album is a collection of vast magnitude of pathological conditions, which I have encountered in my practice in the early part of my career. Severity of the conditions is obvious in the pictures, making their management extremely challenging and at times very difficult and frustrating. Many of these pictures are spot diagnosis; hence they are included in this album. A brief description and diagnosis for pictures is included where necessary. Most of this information was recorded at the back of the original photographs. These have again been reviewed with respect to accuracy of diagnosis and description. Most of the pictures were taken in India in the decade of the seventies. All are black and white, partly due to lack of affordability of funds for colored pictures and partly for clarity and uniformity. It is natural for the readers to wonder as to how lesions could reach such an advanced stage! The answer is simple. In so-called third world countries, or better-called developing countries, priorities in life are different. For many, it is just a matter of survival. Attention to apparently harmless and symptomless lesions is probably the last priority; immediate need is to survive and sustain the family. Moreover, medical and health facilities for many are far away; physically as well as cost-wise. Equally important is the ignorance of people and lack of health education. Result is that by the time patients are able to seek help, conditions are very advanced and at times beyond help, obviously to the utmost frustration of the treating doctors. 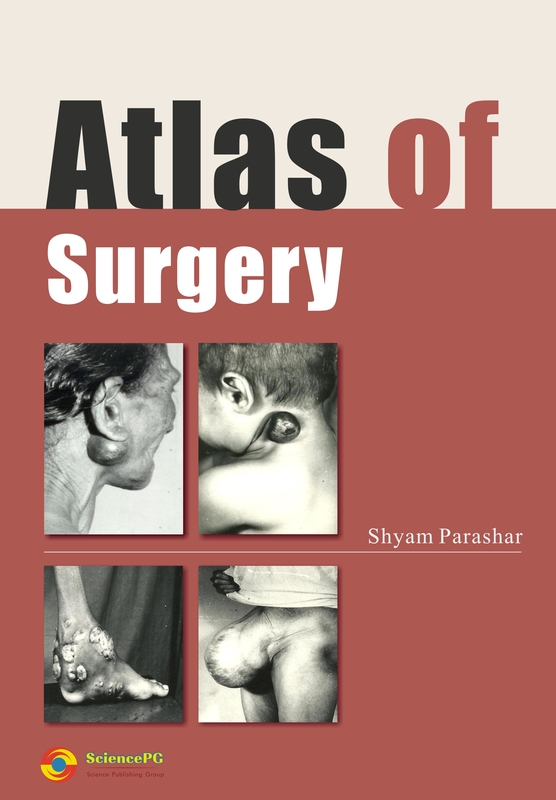 Surgical lesions, apart from trauma and severe infections, are not immediately fatal; hence they continue to grow and reach enormous proportions, as depicted in the photographs of the album. Most of the pictures in the album are forty years old. Things might have improved marginally; but those who can travel to the interiors of the developing countries of Asia, Africa, Latin America and the Middle East can still encounter such astonishingly advanced surgical conditions. One can only hope that we may never see such miseries ever in future in anybody’s life! It is my sincere hope that those who will visit this album will learn from the sufferings of those unfortunate patients who are the subjects of this album; and pray for the welfare of those who still might be living, and for peace in heaven for those who are no more. Amen!